This is a fishing game on the beach, when talking about beach, usually, we think of the sun, swimming, fishing and many fantastic things. 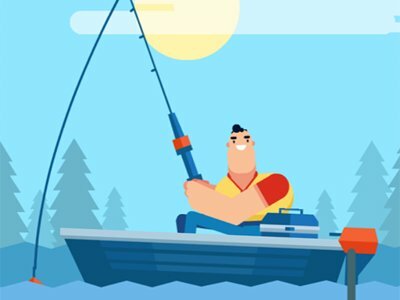 In the game, the protagonist of the game has to prepare adequate fishing tackles so that he can catch more fish and challenge for higher scores. The highlight of the game is that you can choose different baits, the baits are different and could also determine your fishing fish species and sizes, of course, this can enhance the probability for you to fish. Come and have your adventure. You can play Sea Fishing Sun Beach free online sports games at fogames. It has tags: Fish,Fishing,Real Time,3D,. It has 2541 total plays and has been rated 81.8% (8 like and 2 dislike), find the fun and happy day. If you want to play more sports games, we find some of the game: Beach House Escape, ATV Trials: Beach, Beach Fight IO and City Beach Parking. To play other games, go to the fish games page, the fishing games page, or just check out the new games or best games page. Play Sea Fishing Sun Beach online games, Fun and Happy.